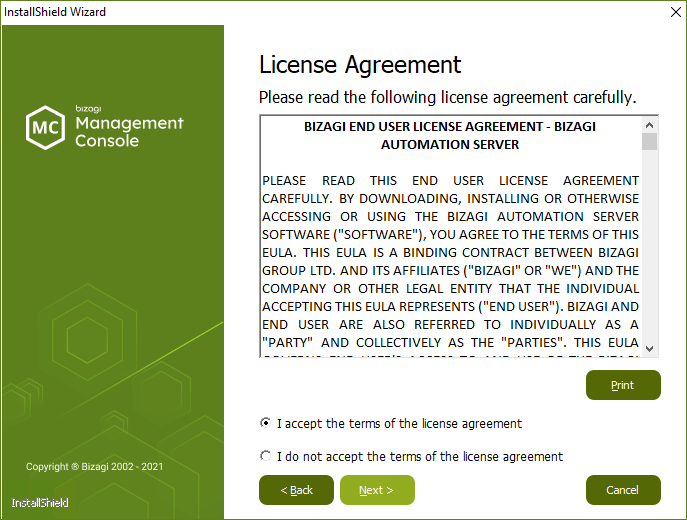 Run the Automation Server installer on the Bizagi server for your testing or production environments. This step is applicable to every Bizagi servers you use, if you are opting for a high availability scheme (a Bizagi cluster). This section describes what you do after ensuring that the installer is valid and complete, as described at Verifying the installer. Make sure your machine meets the prerequisites presented in the System prerequisites chapter. 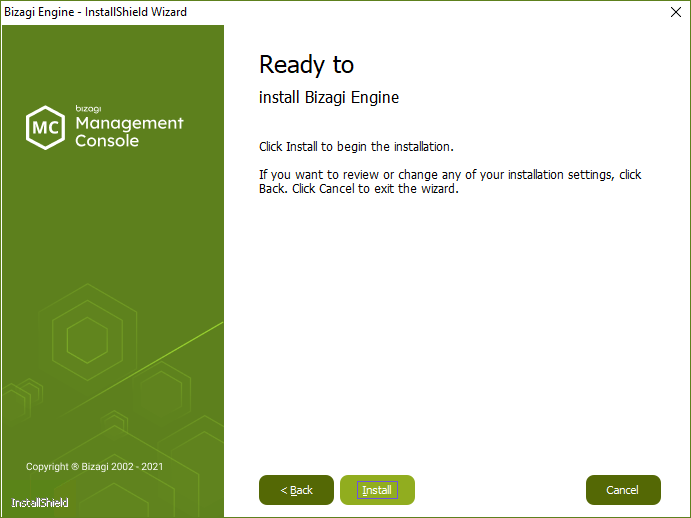 To install Bizagi, you need to have a 64-bit operating system installed. The installer includes the .NET required components, such as the Microsoft's .NET Framework version 4.6.1 (which includes, other components such as Visual C++ 2010, 2008 Redistributable) if not already installed. 1. 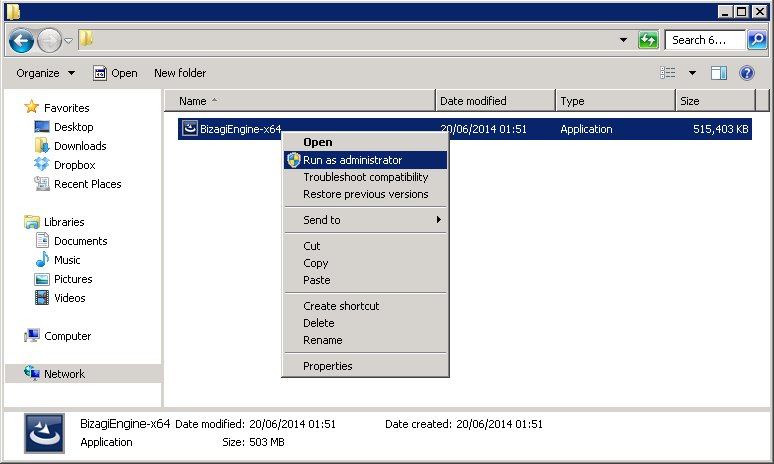 Run the installer with administration rights. 2. 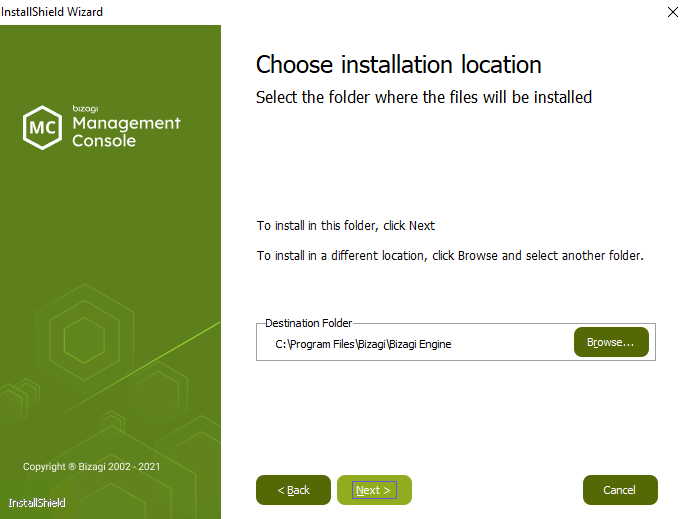 Select the language for your installation. 3. At the Welcome window of the installation, click next. 4. Review the terms of Automation Server license agreement and click Next. 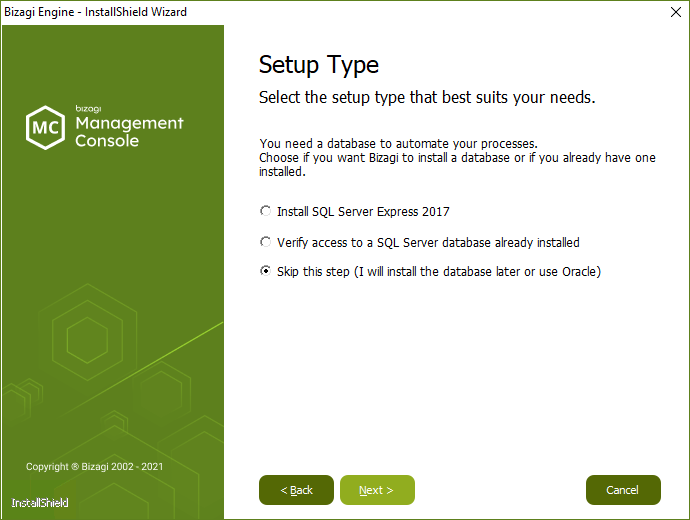 You may skip this step in the installation itself (for instance, if you will use an Oracle database). However, you will need proper database configuration later on to create a project in Bizagi. 6. 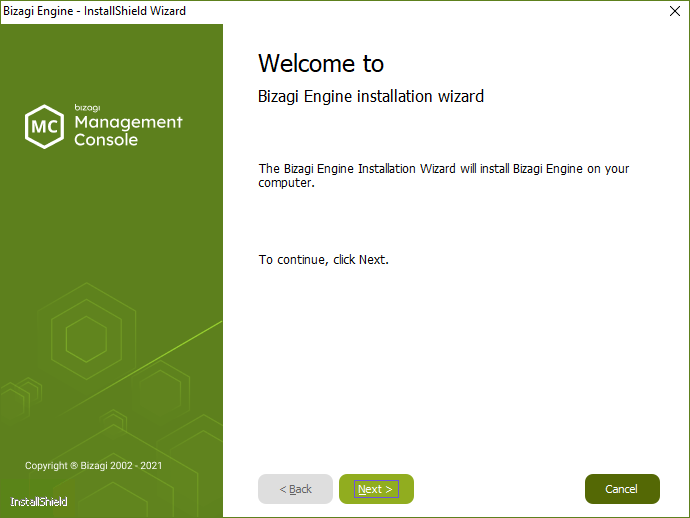 Click Next if you wish to install Bizagi in its default path ("C:\Program Files\..."). To select a different folder location, click Browse, and choose a file directory. In the following window click Install to proceed with the installation. The following window appears when the installation is complete. Note that this installation requires a reboot.